GMVN Tourist Rest House in Pauri town is a deluxe rest house offering comfortable accommodation. Pauri is one of the most popular towns in Pauri Garhwal district. Situated in the northern slopes of Kandoliya hills, Pauri offers astounding views of the Himalayan range. 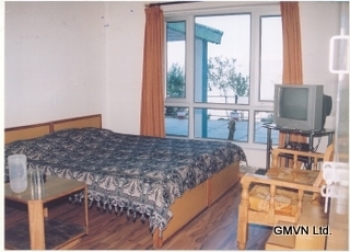 Accommodation in GMVN Tourist Rest House Pauri is provided in Deluxe Rooms, Economy Class and Common Bath. The rooms are affordably priced to meet the needs of discerning travelers. GMVN Pauri is located near the main market in Pauri town. Pauri is situated at an elevation of 1,814mts above sea level at a distance of 101kms from Kotdwar in Pauri Garhwal district of Uttarakhand state. 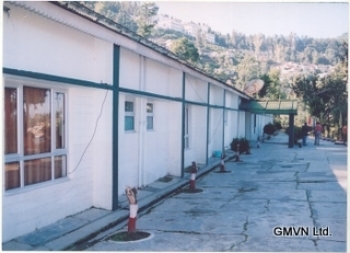 The GMVN TRH in Pauri offers 04 Semi Deluxe, 04 Economy and 06 Budget rooms. Each room provides basic amenitiessuch as Cable TV, attach bathroom, hot water etc. The restaurant in the GMVN TRH Pauri serves variety of mouthwatering dishes.